Complete CD and digital production of audio recording, mixing and mastering. Up to 100 plus digital tracks on mixdown, up to 24 track simultaneous track recording using Samplitude Professional 10 for recording, mixing, editing, and mastering. Yamaha O2R console, Mackie and Auratone speakers for monitoring. Recently added: Native Instruments Komplete instrument suite. My focus is that we capture the unique energy, sound, and emotion of your music, and for us to have a great time doing it! To that end I am sensitive to the production needs of each individual project whether it be a quick demo or a complete album. I have experience on working with many different styles of music and with capturing and crafting a diverse range of sounds. I have a very streamlined recording and editing skills and software that help keep the spontaneity in making music alive. 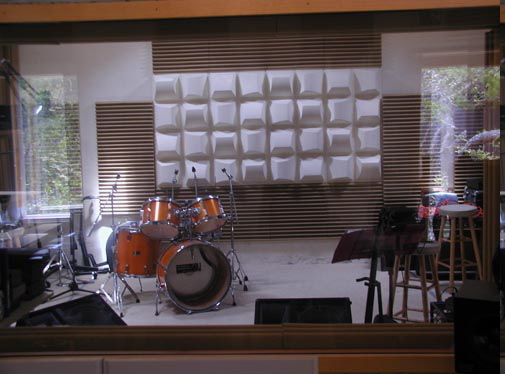 The studio is a 600 square foot custom building with a recording room that can be re-arranged for a wide range of acoustic sound, a recording booth, an amplifier isolation closet, and a comfortable control-mixing room that can also serve as a recording space. The control room was also crafted to allow for accurate mastering. 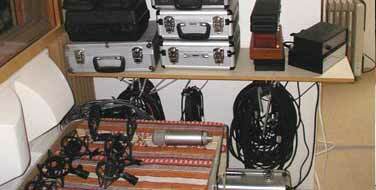 The studio has a handpicked sonic palette of tube and transistor mics and preamps that are all acclaimed for their high sound quality and warmth. I have developed a unique mixing style - mixing to mastered levels and EQ. This means a finished mix is the master. This method can preserve a higher dynamic impact By offering complete recording mixing and mastering under one roof I feel I can deliver finished final masters that are consistent and true to the original intention, and in a cost effective manner. 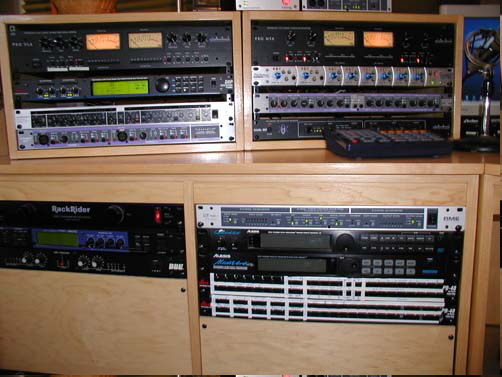 I also have regular clients that record at home and send me songs to mix and master. If you can get basic tracks using some of the great affordable mics available now I can edit and mix a project to the best quality available. 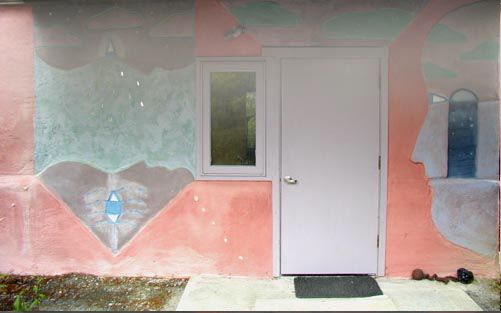 If your project requires outside instrumentation the Mendocino coast has a wide range of talented musicians that make their home here. Local bed and breakfast Inns have offered me special rates, should you want visit from out of town and stay overnight. Also available: 16-track laptop recording using a Mackie Onyx 1640 (for live concerts or onsite acoustic piano) with complete post production services in the studio.. Live performance sound engineering-various sound systems available. I've worked with dozens of talented musicians, both local and visiting. To see a full list of the artists I've worked with, and links to their projects, visit my discography page. 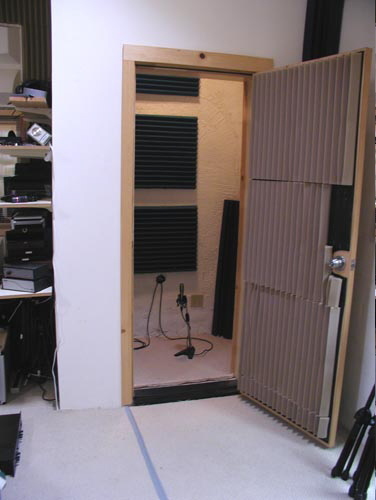 The main recording room has a large door that makes it very accessible and easy to load in your own gear. The control room is also a great recording space. The software I use for recording, mixing and mastering - is renowned for having one of the most “analog” sounding mix engines, and is combined with many of the acclaimed high quality vintage effects by Universal Audio and Waves. Samplitude was originally designed as a mastering program so great attention was paid to phase coherence, comprehensive plug in delay compensation and with industry standard metering and stellar editing features has made it ideal for mixing-to-master. Here is a qoute about Samplitude (Sequioa and Samplitude are the same digital mix platform) by a noted industry producer David Kahne. David Kahne has not only worked with those perennial big names such as Bruce Springsteen, Curtis Mayfield and Paul McCartney, but also mixes at the cutting edge of today's newest generation of music makers and breakers. These include the likes of The Strokes, Regina Spektor, New Order and Imogen Heap. "I've used all the software that I know of, including Logic, Digital Performer, ProTools, and Nuendo, and the Sequoia software tops them all. What I've been looking for is software that compensates for latency in plug-ins and bussing and mix down. When I got used to Sequoia enough to get a mix going, I compared it to all the software I'd been working with over the last years I used a drum kit that I'd recorded on tape and had digitized. © Peter Temple Studio. All rights reserved.